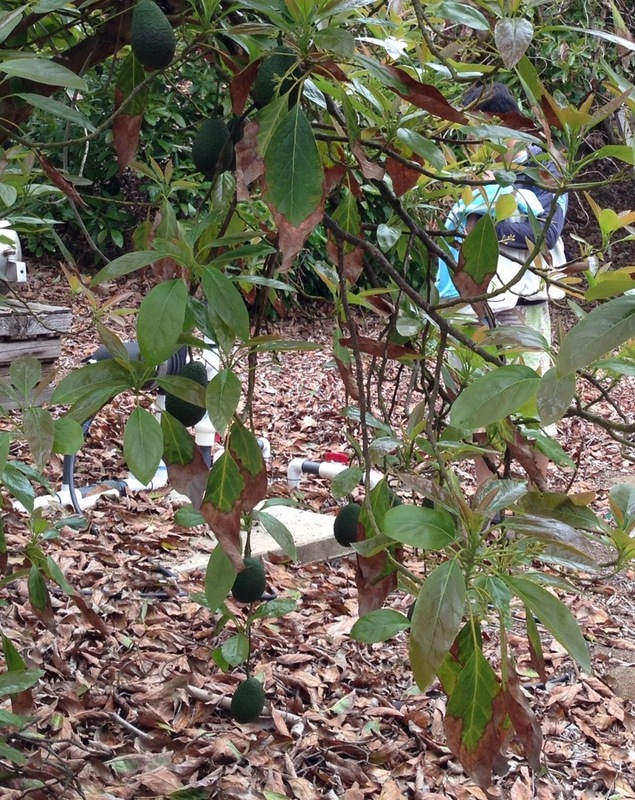 An adventure in accidental avocado farming and related enterprises. We believe the previous owner of our grove used approximately 300 gallons of water per tree weekly. Yes, that’s a 3 with 2 zeroes after it. Per Tree. Per Week. 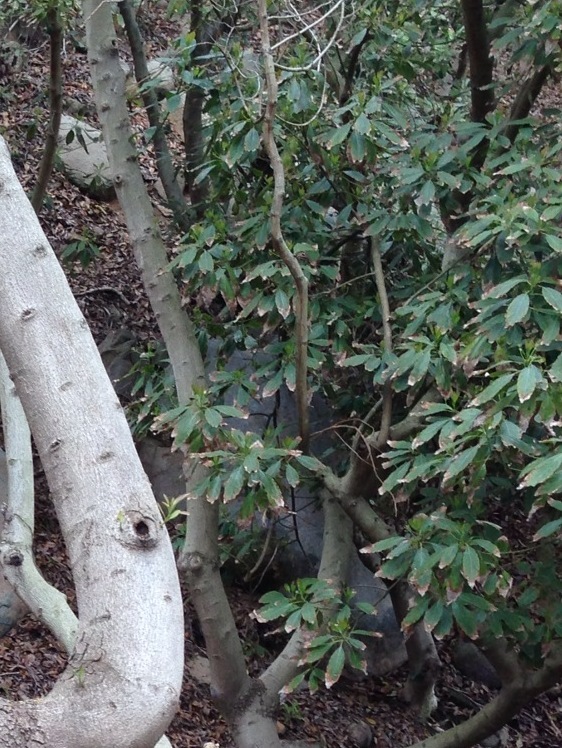 Rick Marrocco with Fallbrook Ag Labs recommended we leach our trees (more on this below) immediately with 600 gallons per tree and then regularly water each tree with 450 gallons every week, or when determined dry using a water meter or the clumping test. Our grove manager recommended about 400 gallons per tree, which is the regime we are currently following. Yes, our water bill is insane. A healthy tree from our farm. 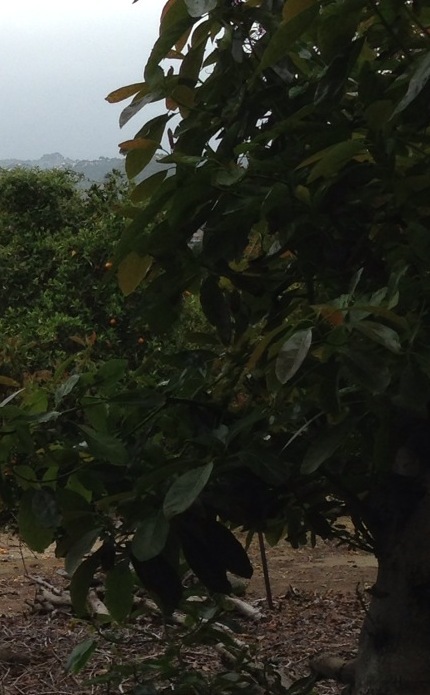 Given the variation in irrigation regimes implemented and recommended above, the question remains, what is the optimal watering regime for avocado trees? To be clear, it is very important not to overwater your avocado trees. You can’t water too much at once, but you can water too frequently. Using 300-600 gallons per tree may sound like we are drowning the poor things, but each tree has a calibrated spinner outputting 10 gallons per hour, so the trees are not flooded, rather, they get a slow seeping over 30 to 60 hours, depending on how much you want to water. Then they are allowed to dry out between waterings. The great debate stems, in part, over leaching. The water in most of the districts in southern California, including the Rancho California Water District where we are located, has high levels of sodium chlorides and other salts. Salts are poisonous to most plants, but avocado trees are some of the most salt sensitive of all fruit trees. When avocados use water, they leave the salts behind which causes them to accumulate in the soil. To resolve the problem, some argue that the trees have to be watered a lot over a longer period of time to “push” the salts down past the root systems of the trees. This method is called leaching the salts. The excess water not used by the avocados transports the soluble salts past the root zone. Avocado trees have a shallow root system, but leaching the salts still requires very deep watering. Reduced yield and leaf burn. But does it have an impact on yield? The experts say, absolutely yes. The CAC states that high salinity leads to reduced water uptake in the roots, reduced nutrient absorption, compact soils causing problems with drainage and aeration, and a measured yield loss of 12% for every 35.5 ppm of chloride in the water (see here, or if you want to geek out on the science and math of it all, see here). The Ag Labs proved results with Rick Marrocco’s personal grove. The first year he took over management, yield was 2,700 pounds per acre. Two years later, that yield jumped to 16,000 pounds per acre. Leaching was one of the practices he religiously implemented. This does not mean that we just turn the knob and let it run. The following practices should be implemented along with your irrigation regime to ensure water use is managed as wisely as possible. Use low-salinity water if possible. Sometimes you don’t have a choice though. Plant salt tolerant root stocks. Sometimes you don’t have a choice in this matter either if you inherited a mature grove, but if you eventually replant, that’s the time to seek out smart root stocks. Test your water and your soil for salinity. A method is provided here. You’ll want your EC (electrical conductivity) to be 2 or less. An EC between 2 and 4 restricts growth of salt sensitive plants, such as avocados. Make sure your spinners are in good order (outputting 10-12 gph) and use syninger 20 psi regulators. Regularly check your irrigation equipment. Allow trees to dry out between waterings. Use water irrometers, moisture meters, or the clumping test (i.e., if a clod taken 6 feet out from the spinner and down 3.5 to 4 feet sticks together, do not water). Apply gypsum to the soil. Turn off water on tree you plan to remove, or severely reduce watering for trees you plan to stump. Example of leaf burn, distressed tree. Damage from salts becomes obvious when you have burned leaf tips and leaves falling out of season. Our grove had obvious signs of damage early in the season when they were watered fewer gallons per tree. Soil tests conducted in three areas in May showed one severely high salinity area, another that was almost optimal, and the third area was good. And the records of previous yields did indicate room for improvement. So after I got all my cursing out of my system, the evidence seemed to suggest that these guys were right. We’ll see how our small grove fares under the changes we are implementing. This entry was posted in Avocado Farming and tagged avocado farming, grove management, irrigation, leaching, salinity, yield. Bookmark the permalink.